Frances Lettieri, a partner in the Philadelphia Office of FHMS will be instructing a Claims Litigation Management course. The course will be held on May 22, 2018 for insurance professionals, and will focus on the avoidance and defense of bad faith. Ms. Lettieri is a member of the Insurance Coverage and Bad Faith Department at FHMS. She regularly represents insurers in coverage disputes. 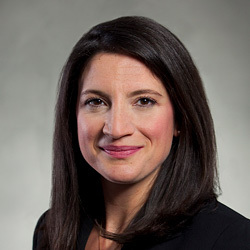 Ms. Lettieri is experienced in handling a broad range of coverage matters, including bad faith, and will be a dynamic and knowledgeable speaker at the CLM Conference. The CLM is the largest professional association in the insurance business with a membership of more than 35,000 professionals in the claims resolution and litigation management industries.